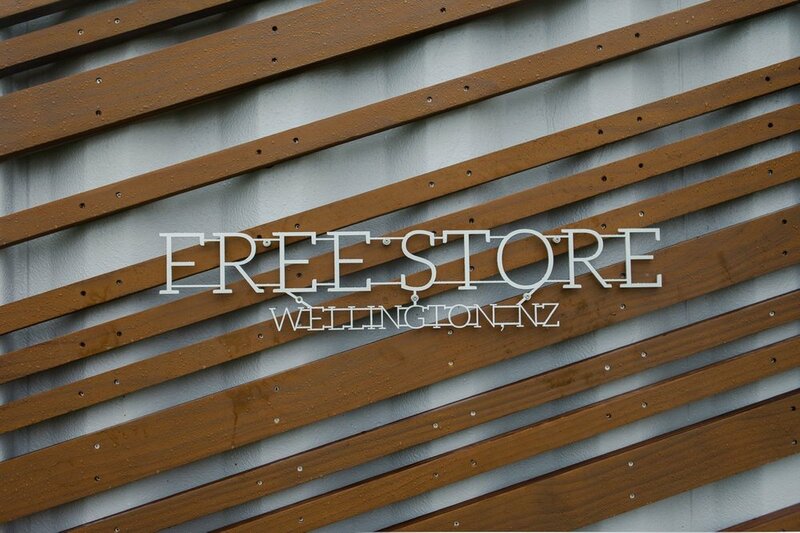 The brief for this exciting project was to create a portable home for a client called The Free Store - a Wellington city based, non-profit organisation that redistributes edible, surplus food to those that determine themselves in need of it. The client sought to convert a donated shipping container into a booth with street presence, while implementing their values for reducing, reusing and recycling. DGSE worked closely with the client and builder to formulate a solution that would meet the brief, stay within a limited budget and make use of donated materials. Innovative solutions used in the construction include an insulated paint system to protect the booth from changes in outdoor temperature and LED lighting powered by a rechargeable battery. The work was completed entirely off-site and then the container transported to the inner city, which helped to simplify the contruction process. This fitout has afforded The Free Store with a memorable and effective space for carrying out their community work. Designgroup Stapleton Elliott is very pleased to have been able to be involved in such a rewarding project.